Magnesium wheels are light in weight with higher high damping capacity and good specific strength. They are generally produced by casting and forging. On an average it is 150 percent lesser density than aluminium. It is because of this that they are highly used in racing cars. Magnesium finds a wide range of applications in automotive sector including seat frames, transmission system casings, lock bodies and air-bag housings. Its high availability has further boosted its usage. Magnesium wheel market size is estimated to be valued over US$ 20.1 billion in 2019. The Industry will register a CAGR of 2.8% to create substantial market opportunity for next ten years. The growth in the market is mainly due to rising demand for racing cars and other light weight vehicles. The demand will further increase with emergence of light electric rickshaw and other light vehicles. As per the estimates, over 39 million units of magnesium wheel were sold worldwide in 2018. The number is expected to increase by 1.4X during the forecast period. Magnesium wheel market is growing at a substantial rate. Automotive industry is expected to increase with rise in demand for green mobility. Electric cars and other vehicles is gaining traction at a very high pace. Superior quality components are leveraged while manufacturing such automobiles. It is expected that magnesium wheels will gain higher traction owing to electric cars and three wheeler vehicles. While magnesium wheel has its own benefits, these vehicles are generally not preferred for heavy duty vehicles and other alternative elements including aluminium has become a preferred choice for many manufacturers. As such, competition from outside segment is proving to be a major challenge for industry players. In 2018, Asia Pacific is estimated to account for highest sales of magnesium wheel. The region accounted for over 42% of global magnesium wheel market share in 2018. Higher sales of two wheelers and three wheelers in China and India has created favorable ecosystem for industry players. Furthermore, gradual shift from conventional motor vehicles to electric vehicles is creating good market prospects for magnesium wheeler companies to flourish. India and China has not only managed to dominate the global sales but also the global production. Collectively, the region has highest number of manufacturers and contract manufacturers. Western Europe stands next to Asia Pacific magnesium wheel market size. Majority of the sales is concentrated in EU-5 with region also exporting to CEE and MEA. An in-depth analysis of the Magnesium Wheel market across regions – North America, Latin America, Western Europe, Central and Eastern Europe, Asia Pacific, Middle East, and Africa. How the Magnesium Wheel market sales is expected to grow throughout the forecast period. Who will benefit from the Report? Purchasing of Magnesium Wheel market research report will give clients access to 120 minutes telephonic access with a research analyst. The duration for access to analysts will be based on the report subscription editions. 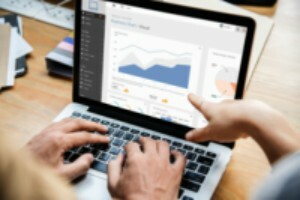 Bekryl Market Analysts has earned reputation within the market research and consulting industry for its ability to not only collect and reprint data but also its ability to build upon its extensive models and databases to provide meaningful forecasting and strategic planning services to clients. Our research analyst and industry experts thoroughly investigates the industry by extensively interviewing the industry leaders and analyzing information from various secondary sources. The information collected is analyzed with the help of analytical tools to offer real time forecast solutions. In order to prepare historical data and analyze Magnesium Wheel market forecast, Bekryl prepare data for product supply and actual demand from end-use consumers. Through this, we get to know actual demand for Magnesium Wheel market globally. The data collection is done through secondary and primary market research and then a constructive model is developed. The data collected through secondary research is then validated with the industry experts to minimize the anomaly and reflect key stakeholders opinion in the report. With the model constructed, the cluttered data collected through different sources is structured with the help of proprietary analytical tools – making us understand the variation happened in the current year compared to historical years. To forecast Magnesium Wheel market revenue, Bekryl Market Analysts takes in consideration the demand growth of the segments. Demand for the product is dependent on end-user spending which is a function of many factors: amongst them macroeconomic strength, price variation and other base factors. The forecast methodology requires extensive data analysis across countries. Among all the factors, GVA and GDP output is considered as the first set of approximation. Bekryl Market Analysts has developed a demand driven model based on GDP across targeted countries. Under this, co-relation is analyzed between product and GDP – resulting in a constant GDP-Product coefficient. Higher the coefficient- greater will be the growth rate. For instance, GDP-Product segment coefficient matrix of 3 denotes Magnesium Wheel industry growth is nearly 3.5X to 5.5X higher than the relative GDP. Besides GDP-Product Coefficient, Bekryl establishes following relation variation for higher predictive analysis. Bekryl maps key market players across regions. Financial ratios is taken in consideration along with regional presence and their value chain to understand the company market strength. Thereafter, investment proposition for each company is proposed which gives coefficient matrix value for the company. Industry experts is also reflected in company landscape.